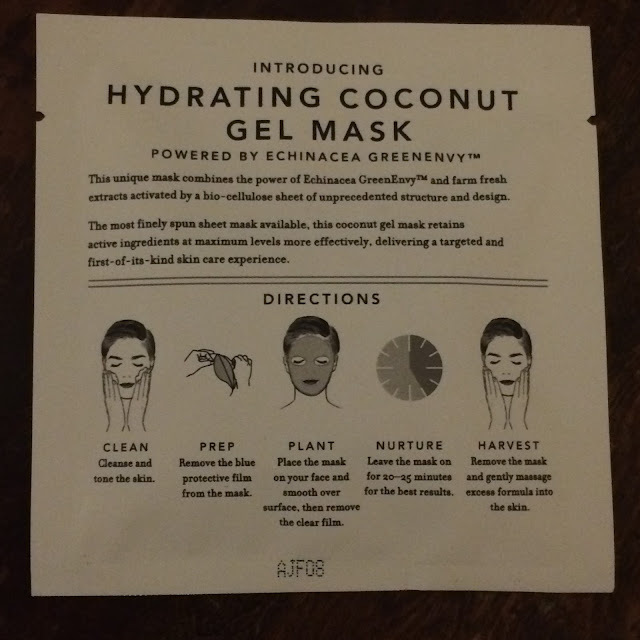 Sheet masks are a regular past of my daily evening skincare routine, and when I had the chance to try new masks from Farmacy, I was thrilled to be presented with such an opportunity! Farm-grown, hand-picked botanicals define Farmacy beauty, which fuses age-old wisdom with cutting-edge technologies to create irritant-free bioactive formulations that support the skin’s own renewal and defense cycles. Powered By Echinacea GreenEnvy™. A unique patent-protected variant of Echinacea Purpurea, GreenEnvy™ contains the highest known concentration of the phytochemical Cichoric Acid, a potent natural antioxidant which helps protect and firm the skin by inhibiting the enzymes that break down collagen. Mark Veeder is the pioneer plantsman behind the discovery and patenting of Echinacea GreenEnvy™, a unique variant of Echinacea Purpurea. He has partnered with farming expert Robert Beyfuss to cultivate the plant in upstate New York. Together, they are creating jobs and changing lives in their local community. The scientists and lab behind Farmacy are innovative experts in cosmetic formulation and research, and seek out nature’s most novel yet effective ingredients. Echinacea GreenEnvy™ is transported only two hours to the lab, where it undergoes a cold pressing process, similar to cold pressed juices. Farmacy is releasing six coconut gel masks; coconut gel bio-cellulose masks provide intensive hydration, restore the skin’s balance, and provide the skin’s surface layers with a penetrating surge of active ingredients. 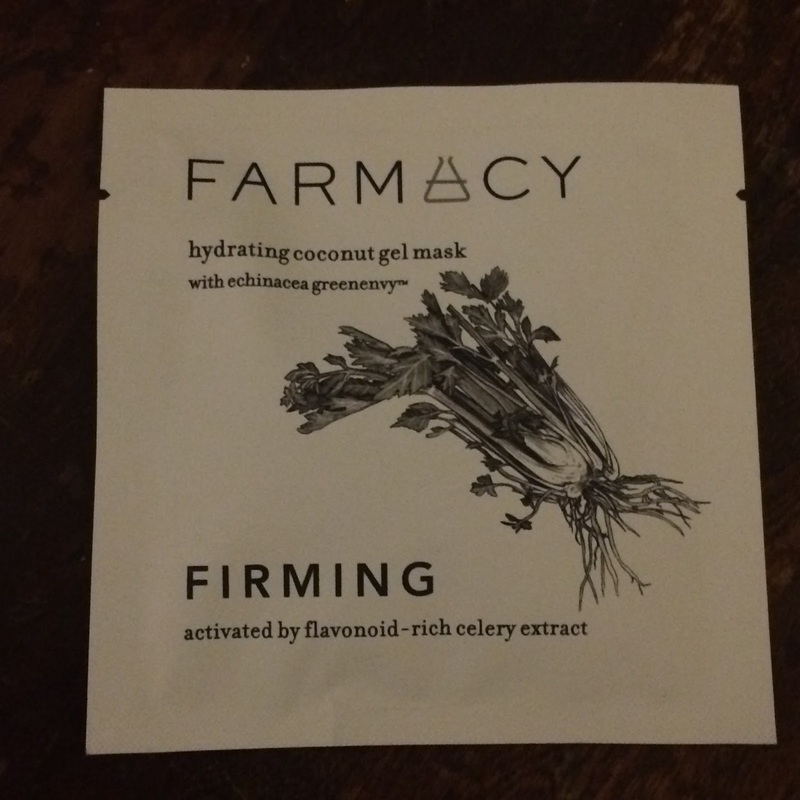 Farmacy sent me the Firming hydrating coconut gel mask to try. Clean: Cleanse and tone the skin. Prep: Remove the mask from the sachet and unfold completely. The mask is placed between two sheets of protective mesh. Remove one side. 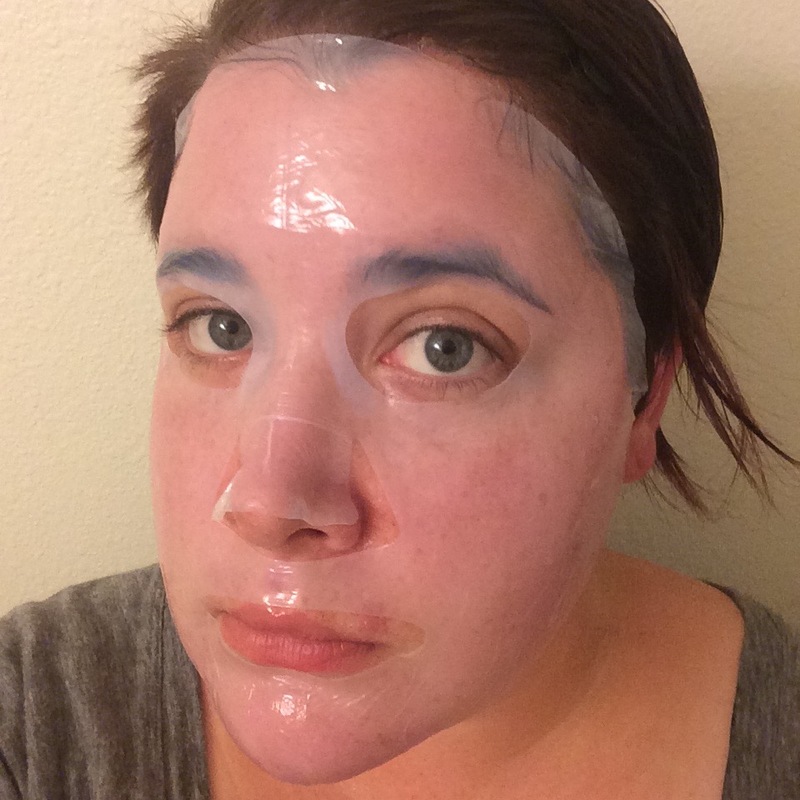 Plant: Now place the exposed mask side on your face and smooth over surface, then remove the other protective mesh. Nurture: Leave the mask on for 20â€“25 minutes for the best results. Harvest: Remove the mask and gently massage excess formula into the skin. I love the idea of "planting" this natural skincare treat on your face! The mask is much thinner than most sheet masks I've tried. It was easy to unfold, but I did find it's thinness made it a bit difficult to remove the second layer of paper once I situated the mask on my face. 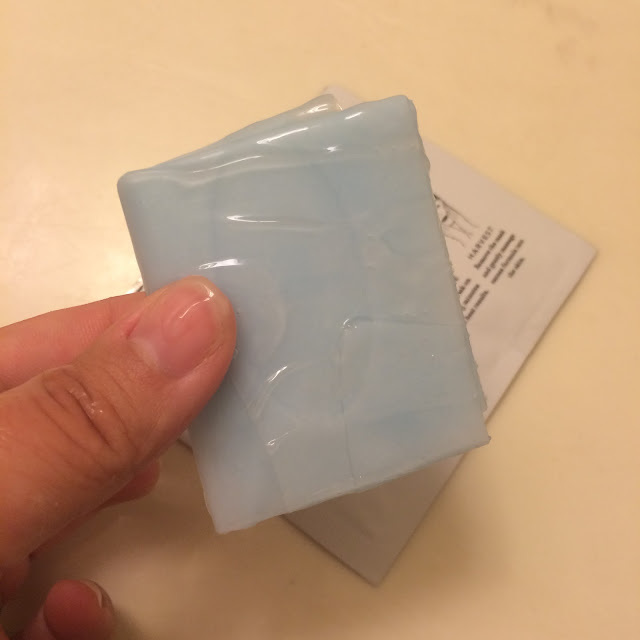 This mask had an excellent fit: it hugged my undereye area nicely which smoothed out any lines and brightened dark circles, it clung to my skin very well allowing me to be able to go about my regular evening activies (i.e. washing dishes) while wearing this mask without worrying about it falling or sliding off my face, and the extra essence in the packet let me layer a little extra on top of the mask but also to moisturize my neck as well. There was no scent to the mask, and it felt very soothing on my skin. Overall this was a really great mask for hydration and soothing the skin. The directions indicate to leave this mask on for 20-25 minutes, but I was able to comfortably leave it on for a full hour before it dried out. 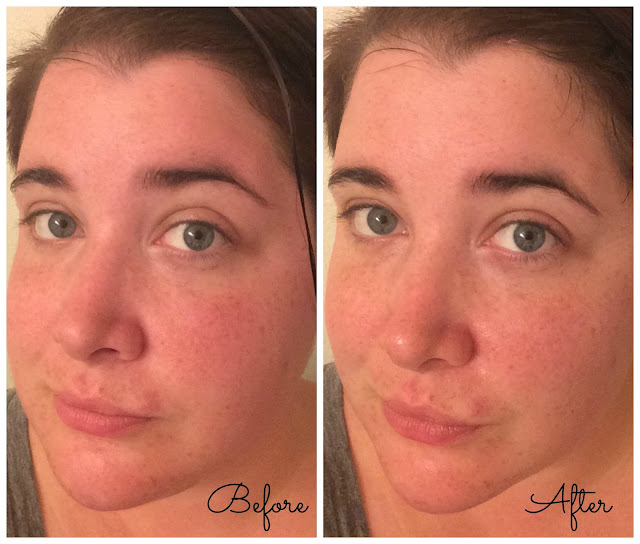 Check out my before and after below! Farmacy coconut gel masks retail $24 for a 3-pack, and can be found at Sephora, QVC, and at FarmacyBeauty.com. Disclaimer: Baby and the Chi's blog purchased/received the product(s) mentioned in this post for the purpose of review and evaluation. No monetary compensation was received for this post. Baby and the Chi's blog will always provide honest opinions, beliefs or experiences on products reviewed. If you have any questions, please contact me at babyandthechis at gmail dot com. This blog contains affiliate links and I may receive a small commission if you make a purchase using one of those links. Baby and the Chi's is not responsible for prize delivery. The disclosure is done in accordance with the Federal Trade Commission 10 CFR, Part 255 Guides Concerning the use of Endorsements and Testimonials in Advertising.